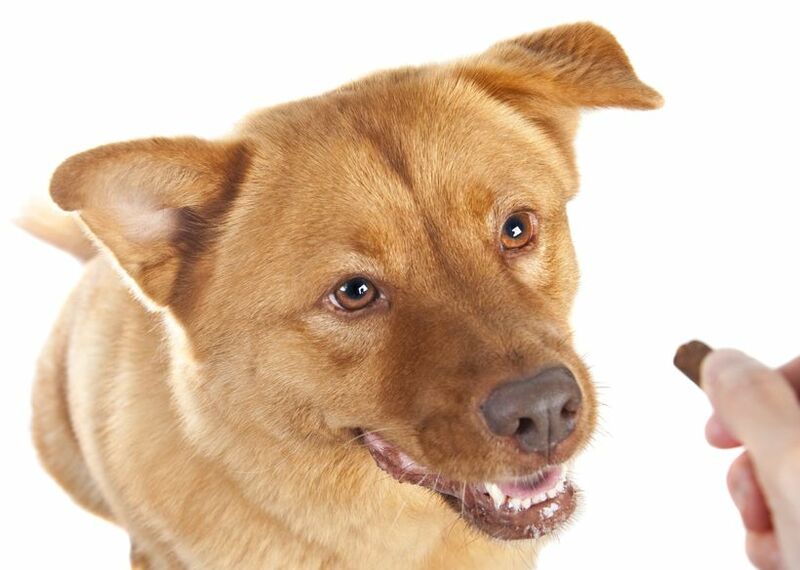 ​Why use food in dog training? Shouldn’t the dog do it because I ask him to and I'm the boss? These questions get asked a lot. And yes you can train a dog without food, however a lot of the time this is only successful, because instead of earning a reward, they are avoiding a punishment or unpleasant feeling. So why should you use food? Number 1: You have to feed your dog – Food is a primary reinforcer – meaning that it is something that all dogs naturally find reinforcing. All dogs need food to survive, why not use the dog’s food in training to establish new behaviours and capture desired behaviours? Food is not something the dog has to learn is a “good” thing. Number 2: Studies completed in recent years, have found that food is a better motivator for both hand-raised wolves and pet dogs than praise and petting. “Relative efficacy of human social interaction and food as reinforcers for domestic dogs and hand-reared wolves” by Feurbacher and Wynne – 2012. Number 3: The dogs learn faster when rewarded with food and need fewer repetitions to show understanding of a desired behaviour. Number 4: Food as we found in number 3 can help the dog learn faster, it can also help a dog to overcome the emotional responses associated with fear and anxiety. Within any animal brain there are some core units. One of them is the “seeking system”. Using food, you can engage this system and have your dog seek the food. If the food is presented/found before the dog reaches an increased stress level, and the stimuli that would normal trigger his fear/anxiety is present (and the dog is aware of this), a positive emotional response occurs. This response occurs because the feelings associated with smell and taste bypass other parts of the brain and head straight to the amygdala – the emotional centre of the brain. This then reduces the fear/anxiety associated with those triggers because instead of feeling fear etc, the dog experiences more pleasurable feelings. This explains why games such as scent work can be incredibly powerful when working with fearful dogs. Number 5: Training using reinforcement (be it food, praise, play or pats) will help build a bond between you and the dog. You are now the source and predictor of good things, and rather than being worried what is going to happen if the dog doesn’t do as you ask, he’ll be much more likely to offer the behaviour you request. Bribery - People will argue that using food is bribery – and if used incorrectly it can be, however if used correctly – once a behaviour is established the food is only presented AFTER the behaviour has been performed. And then with time, the food can be faded. There is very much a difference between a bribe and reward – a bribe you see what’s in it for you first, a reward comes after you have succeeded at the known behaviour. In the learning stages, we use food as a lure, but this should be faded after a very short time - 5 times over 5 locations to allow understanding and generalisation (maximum for 25 lures). After this ask for the behaviour, then reward after it is performed. Then gradually fade the food. Think about yourself and going to work. You don’t see the money, your boss isn’t waving it under your nose to get you do to something, but you do know that when you do your work, there is a monetary value for you. Dogs don’t understand money, but they do value food. Now, what if your boss now decides that instead of money your reward will be a verbal acknowledgement “good job”. For some dogs this could be likened to praise and pats. How long will you continue turning up for work? Is this reward enough to motivate you to continue to work at the level that you were? Now what if yes you are rewarded verbally regularly, and every now and then when you do an amazing job you earn a huge monetary bonus or new car etc for a job exceptionally well done. Will you try harder now? My dog will get fat – As with any extras that you feed your dog, this should be deducted from their daily allowance. Where possible I would reward most frequently with their standard diet, and the higher value rewards can be for new behaviours, novel situations, or increased distractions etc. I use cooked human grade chicken breast for new behaviours outside of the house or in a vet clinic etc. This is highly valuable to most dogs and is easy for them to swallow at a rapid rate of reinforcement without needing to chew etc. When using meat etc use common sense and ensure freshness. Only make up bag sizes suitable for a training session and freeze the rest. My dog will only work for me if I have food - You won’t always be needing the food. Once the behaviour has been established food is faded, and only used intermittently (when the dog does it really well, under distraction etc). Using an intermittent reinforcement pattern will generally result in a dog that is faster and more reliable in their response. Much like why people will continually go back to play pokies when they only occasionally hit the jackpot. My dog should just do what I ask because he respects or loves me – Dogs are not robots. They are living breathing creatures with an emotional system akin to ours. Whenever presented with a task, or learning a new behaviour a dog will ask himself, “hmmm why would I?”, or “what will happen if I don’t abide?”. If you rely on this notion, you will find that your dog starts to ignore your requests or may be slow to learn. You may argue that you are using pats or praise as a reinforcer, however not all dogs find praise and pats reinforcing – some dogs find physical touch aversive, and patting your dog for sitting, may actually be a punisher instead of a reinforcer. Fear inhibits learning, so if your dog is fearful of what you may do, or a consequence that may occur, he will probably learn slower and have a delayed response. Listen to your dog and work with what they find reinforcing. When using food rewards, use small fingernail sized or single kibble treats for each task etc. Account for the food used in training and take this away from your dog’s daily food intake. Food – what types? Hygiene etc. Life Rewards - these are things that your dog innately wants to do in their day to day life. It can include things such as smelling the tree, going for a walk, greeting someone or something, couch or bed time etc. Yes you should teach your dog new behaviours using food rewards and at a high rate of reinforcement. Once the dog knows the behaviour, don’t present the food until after they have performed the task. Then once this is occurring reliably and over multiple situations, days and locations start to fade the food and begin intermittent reinforcements with food, and use other reinforcers play/praise/pats/life rewards etc to reinforce the behaviour at the other times. APDT. (2017). Why Do Trainers Use Food When Training? - APDT. [online] Available at: https://apdt.com/resource-center/trainers-use-food-training/ [Accessed 4 Sep. 2017]. Feuerbacher, E. and Wynne, C. (2012). Relative Efficacy of Human Social Interaction and Food as Reinforces for domestic dogs and hand-reared wolves.. [online] Available at: https://www.ncbi.nlm.nih.gov/pmc/articles/PMC3408722/ [Accessed 2 Sep. 2017]. Fukuzawa, M. and Hayashi, N. (2013). Comparison of 3 different reinforcements of learning in dogs (Canis familiaris). Okamoto Y, e. (2009). The feeding behavior of dogs correlates with their responses to commands. - PubMed - NCBI. [online] Ncbi.nlm.nih.gov. Available at: https://www.ncbi.nlm.nih.gov/pubmed/20046029 [Accessed 4 Sep. 2017]. Quick and Dirty Tips. (2017). The Advantages of Training with Food Treats. [online] Available at: http://www.quickanddirtytips.com/pets/dog-behavior/the-advantages-of-training-with-food-treats [Accessed 3 Sep. 2017]. Victoria Stilwell Positively. (2017). Using Food in Dog Training. 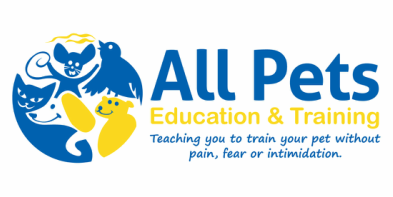 [online] Available at: https://positively.com/dog-training/positive-training/using-food-in-training/ [Accessed 1 Sep. 2017].